“It’s Katrina Kaif’s birthday and we all at ‘Zero’ miss her!!! Maybe I should put a picture of her from the film and send out a loud Happy Birthday wherever she is,” Shah Rukh tweeted. While Katrina is in London to celebrated her 35th birthday with her family members, SRK ensured he wrote a little note to introduce her new avatar. The actress sports kohl smudged eyes and an intense look as she is seen surrounded by people. “There are so many lovely pictures of her, but this one speaks to me beyond my friend’s beauty….hope you all also give it love,” SRK added. Apart from the photograph, Shah Rukh put out another note: “We know she is beautiful. We know she has set our hearts fluttering. She has never been hurt. She dances like nobody’s watching here. She has lived like it’s heaven on earth. “But us actors wait for the moment when we can sink our teeth into a character deeper than beauty and its trappings.Here’s my friend on her birthday braving to enthrall us in a new avatar.A You may ask ‘why so serious…. ?’ Hmmm…. He wished the “brave and beautiful” Katrina the very best. 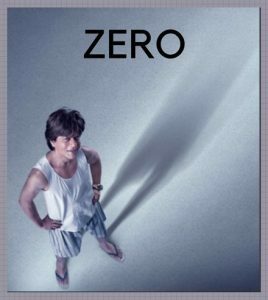 “Zero” is directed by Aanand L. Rai, and features Shah Rukh as a vertically challenged man. The film, releasing on December 21, also stars Anushka Sharma.